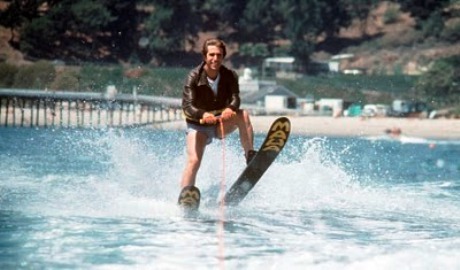 In a Sept. 3 Los Angeles Times article, Fred Fox Jr., the writer of the infamous Happy Days episode where Fonzie jumps over a netted section of ocean containing a shark and inspired the "jump the shark" meme, addresses his dubious claim to fame in pop culture history. Was the "Hollywood 3" episode of Happy Days deserving of its fate? No, it wasn't. All successful shows eventually start to decline, but this was not Happy Days time. Consider: It was the 91st episode and the fifth season. If this was really the beginning of a downward spiral, why did the show stay on the air for six more seasons and shoot an additional 164 episodes? Why did we rank among the Top 25 in five of those six seasons? Interestingly, Wikipedia also describes a 1963 episode of Bonanza, "Hoss and the Leprechauns," in which Hoss meets a leprechaun. 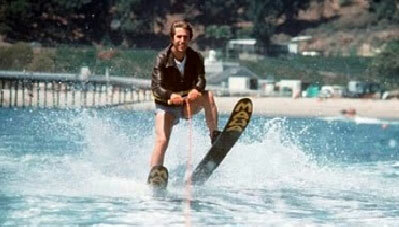 That episode coined the term "seeing the leprechaun" as a precursor to the "jumping the shark" phenomenon. This led me to wonder if, perhaps out of sympathy for Mr. Fox, a new term to explain the dynamic could be adopted.